Uber is proud to be the Official Ride of the Pittsburgh Penguins and PPG Paints Arena. This season, you’ll be able to get home from the arena more easily by using the Uber Zone—a designated pickup lane near the arena, on Wylie Ave. The Uber Zone is located on Wylie Ave, between Fullerton St and Crawford St.
For the easiest route to the Uber Zone, exit the arena through the Verizon Gate, then cross Centre Ave and proceed onto Fullerton St. Walk 1 block, and Wylie Ave (and the Uber Zone) will be on your right. 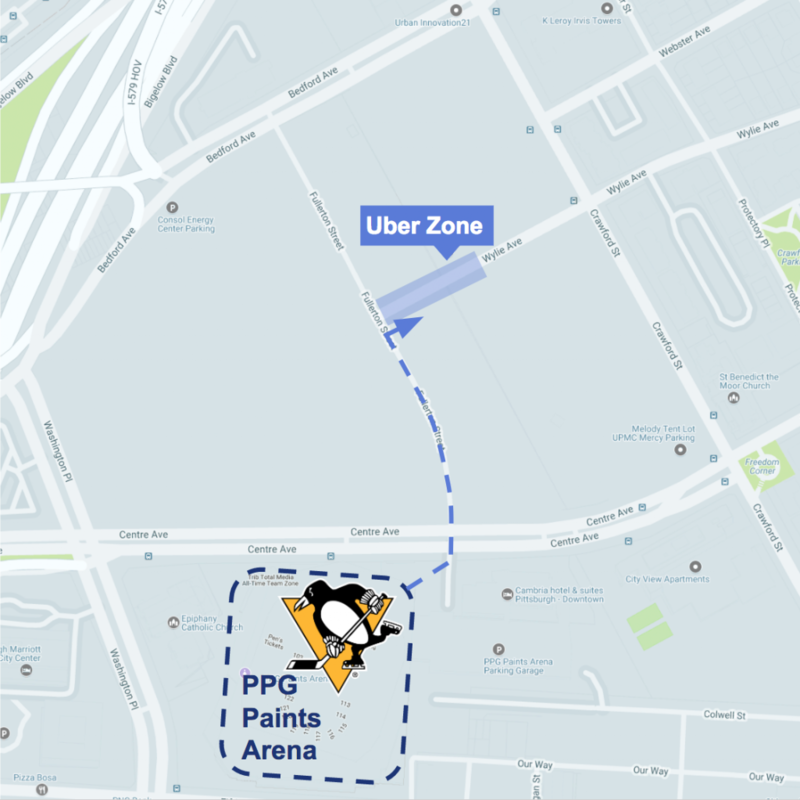 Once you exit PPG Paints Arena, open the Uber app and swipe to choose your desired vehicle option. Choose uberX, uberXL, or UberPREMIUM to get a ride that best suits your needs. With upfront pricing, there are no surprises—you’ll see your fare in the app before you request your ride. When you’re ready to get picked up after a game, head to the Uber Zone on Wylie Ave, between Fullerton St and Crawford St.